Just yesterday we saw the press shot of HTC Desire C leak over Vodafone Portugal, and today HTC has officially launched the device. 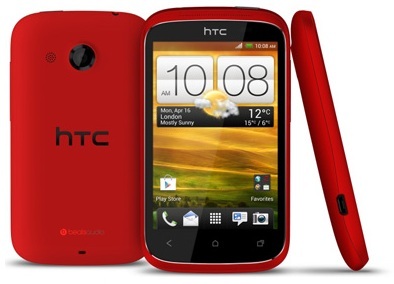 The HTC Desire C was previously known as HTC Golf and also HTC Wildfire C but has landed in HTC’s Desire range of smartphones. 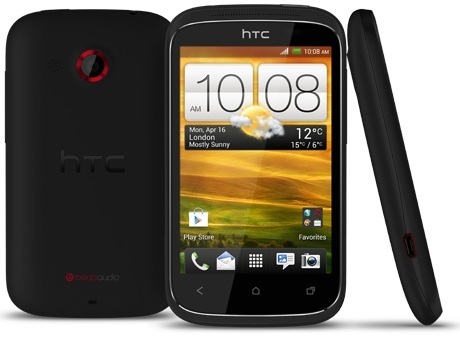 The HTC Desire C is a budgeted smartphone packed with Android 4.0 Ice Cream Sandwich with HTC Sense 4.0 on top of it, bundled with Beats Audio but arrives without the headphones. The device is priced at around €220 and is heading towards a few European countries later this month in three colour options which include Polar White, Stealth Black and Flamenco Red. There is no word from the company about the launch of the Desire C in India as of yet.